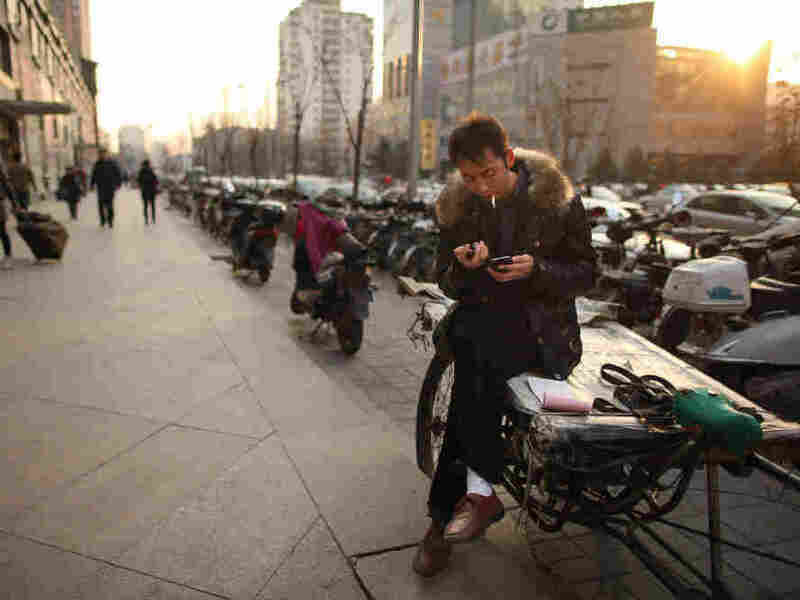 From Cellphones To Cigarettes: The Long Arm Of The Chinese Government : Planet Money China's government plays a huge role in the country's economy. That needs to change, according to a new report co-written by the government's own think tank. The streets of Beijing and Shanghai feel like an entrepreneurial free-for-all, full of mom-and-pop stores and street vendors selling snacks and cheap toys. But when you pull back the curtain, you see a different picture: a country where the government still controls huge swaths of the economy. This system, known as state capitalism, has worked well for China so far. Over the past three decades, the country's economy has grown by an astonishing 10 percent per year. But that kind of growth can't last forever, and it becomes particularly hard to sustain as China's economy reaches what economists call the "technological frontier" — the point at which growth comes from new innovations, rather than from adopting innovations created elsewhere. So in the coming years, the Chinese government must loosen its grip or risk strangling the economy. This is not just the prescription of outsiders: Its the core message of a report released today and co-authored by the Chinese government's own think tank along with the World Bank. The report, called China 2030, says China needs to allow for more competition and innovation, but acknowledges that this may be tough — not least because of the all the vested interests getting rich in the current, state-run economy.